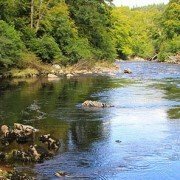 Here at Ace we are ‘#blessed’ to be surrounded by the most beautiful and unspoilt woodlands, rolling fields and of course the River Findhorn and its truly stunning gorge scenery. If you wander out of your tent or hut you can just keep wandering on into all this nature, and most of the time you’ll have these woodland paths and tracks pretty much to yourself. There are plenty of lovely routes right here from Ace, but to make the best of them it’s worth stopping in at Reception to ask for some tips. That way you’ll hopefully avoid wandering through a field full of overly-inquisitive cattle and instead find a route to make the best of the views and abundant nature all around. If you do pass through a gate, please leave it how you found it and in general follow the country code. Much of the wildlife around here can be quite shy, but you shouldn’t find it too hard to spot something of interest. There are a host of native birds and birds of prey. We have even seen a pair of Ospreys locally. 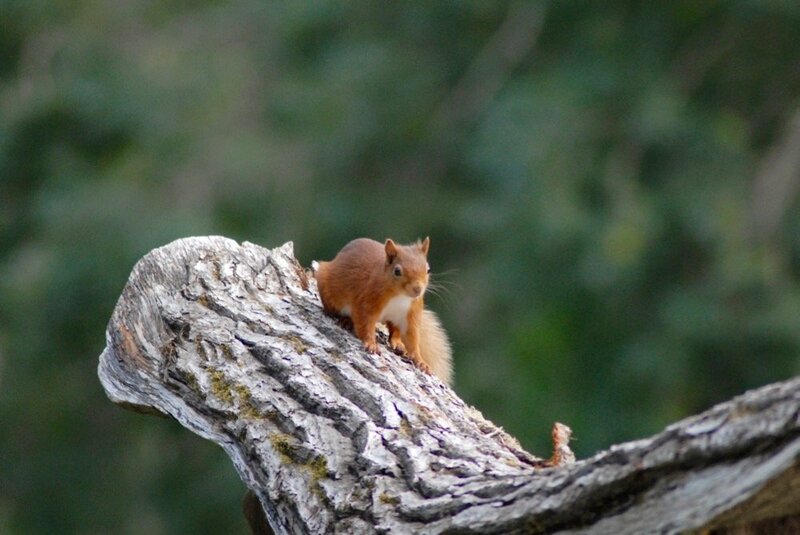 Right around the campsite you will spot the smaller breeds of deer if you’re quiet and calm, perhaps pheasant or grouse and if you’re lucky we sometimes see the elusive red squirrel. Woodland Ancient and Modern, and the second tallest tree in the UK! You’ll see a huge variety of trees, both ancient and modern on your walks. These will include native Scots Pines, Birches, rowan, alder, willow, Douglas Fir, and others. The Woodland Trust has come up with Tree ID, an app you can download to identify many trees in Britain – it’s quite fun playing tree detective along the way. 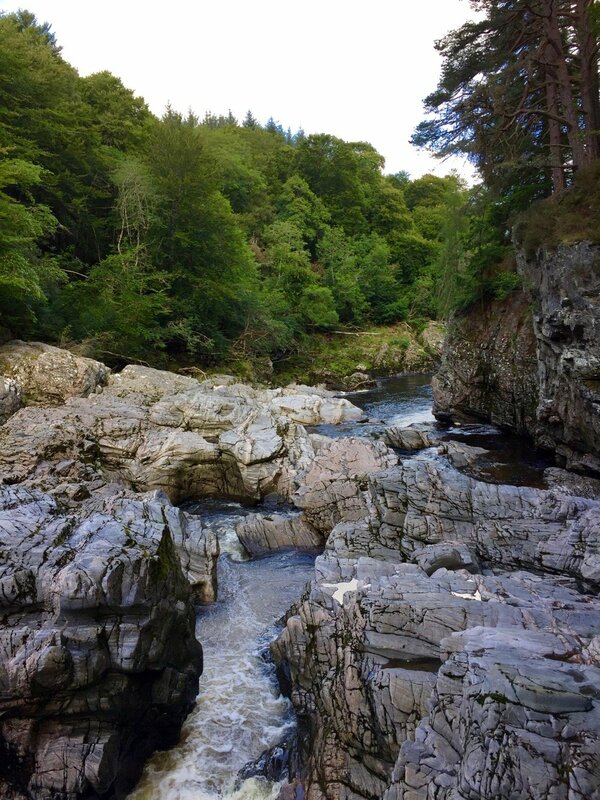 If you walk down the hill to the River Findhorn and follow it downstream, just before the famous Randolph’s Leap you will see (the bottom of anyway!) 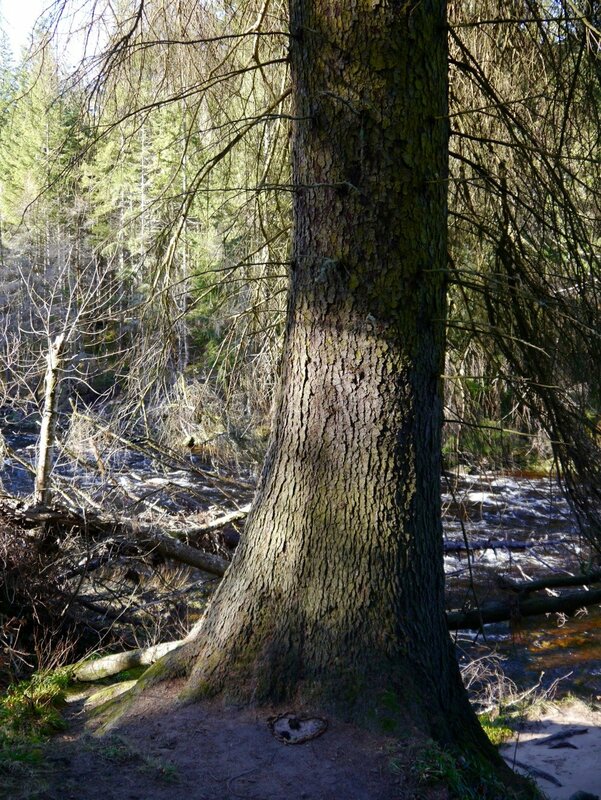 a huge Sitka Spruce on the river bank. We are told that this is the second tallest tree in the UK. We do wonder how they know! 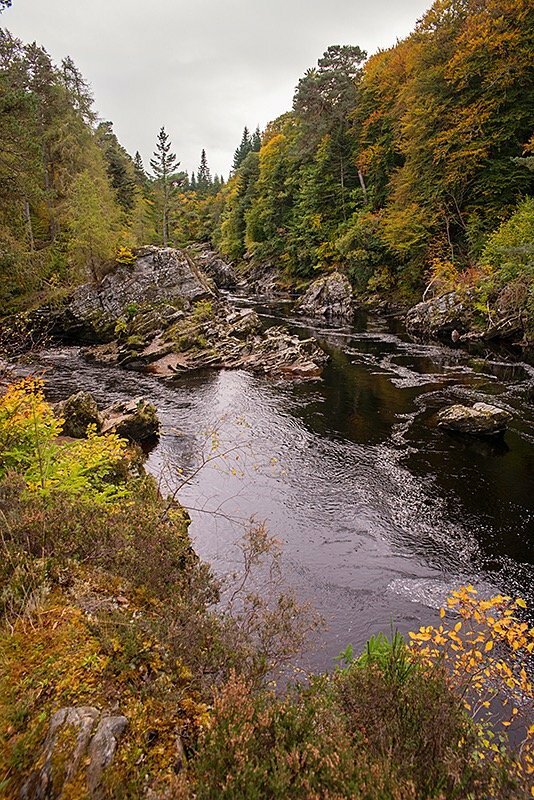 If you decide on a wander down the river past the ‘big tree’, you will come to Randolph’s Leap where you’ll see that the full force of the river passes through a narrow gap. Back in bloodier times in our history a local man tried to escape his armed perusers by leaping (across from the other, lower, side – quite a feat but perhaps one you’d be more willing to attempt when being chased by a bunch of bloodthirsty pike-bearers) across. 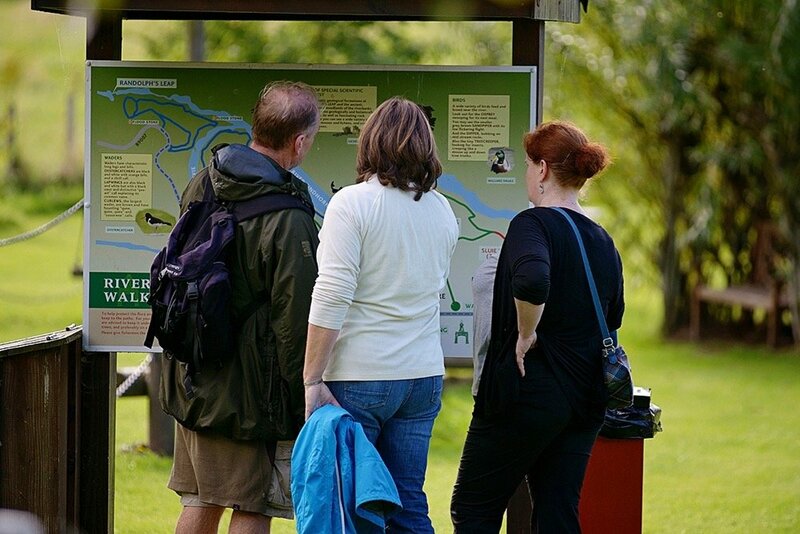 Something of his tale can be read on the nearby sign boards and more about his history and that of the local area, including the 1829 Great Flood can be found in the Heritage Centre at nearby Logie Steading. A little up the hill from the Leap you’ll see a carved stone inside a little cage. This is where the flood waters reached in 1829. Standing here and just imagining that volume of water is quite something. 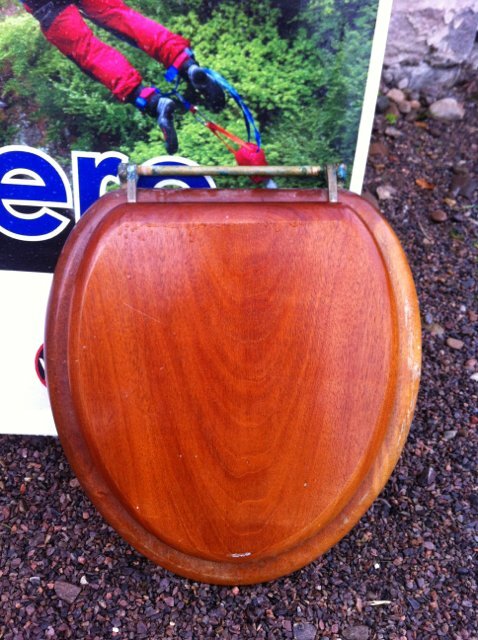 Those were days when White Water Rafting was purely survival! 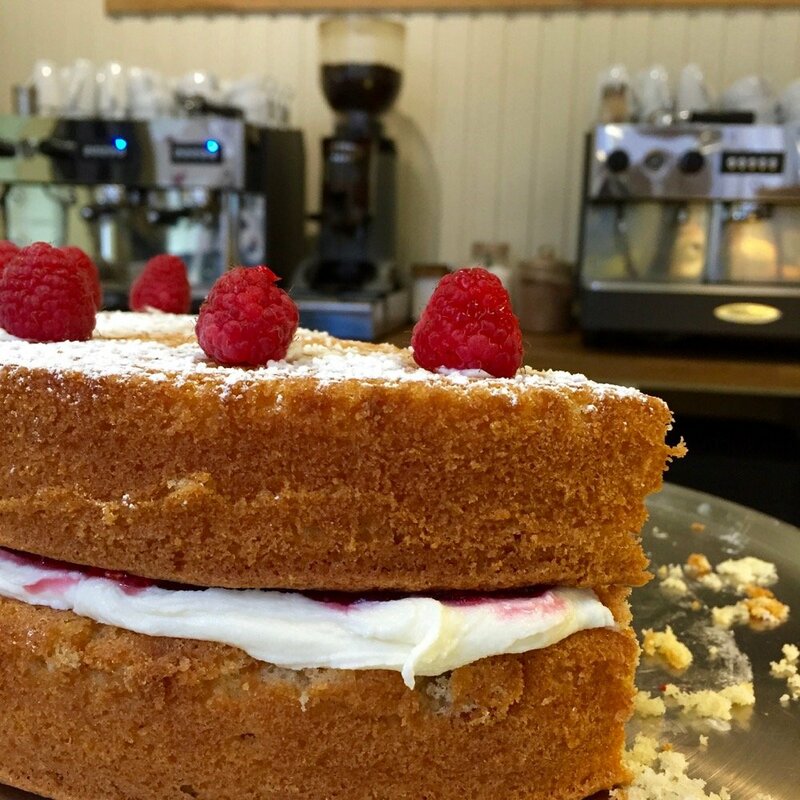 An Excellent Cafe, a Beautiful Walk Away – What a Treat! 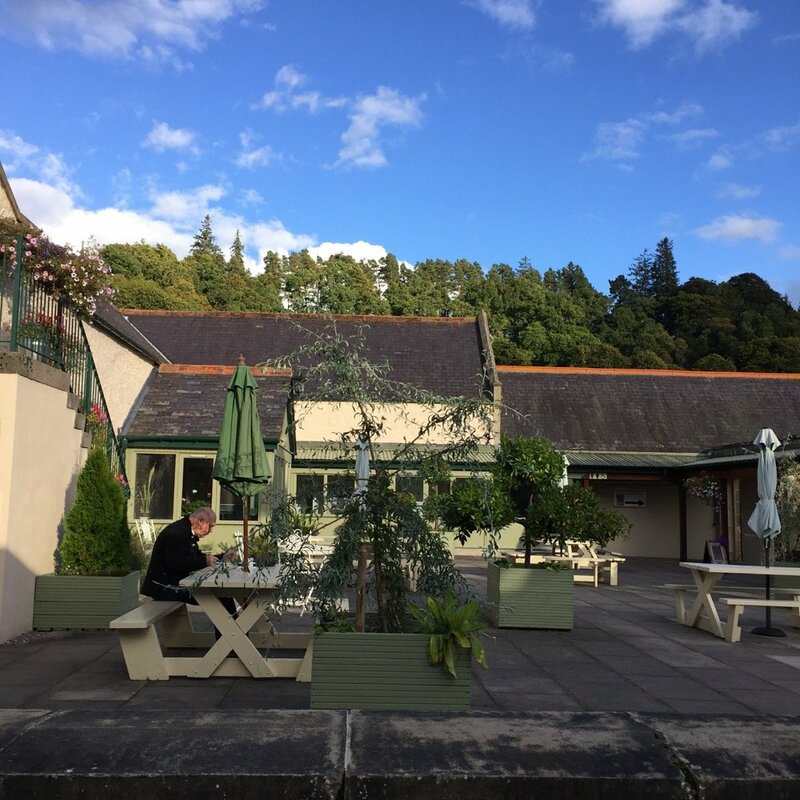 If you follow the signs from Randolph’s Leap to Logie Steading (approx another mile) you’ll find a host of independent shops and makers, a walled garden and The Olive Tree Cafe where you can enjoy some well deserved home made refreshment. 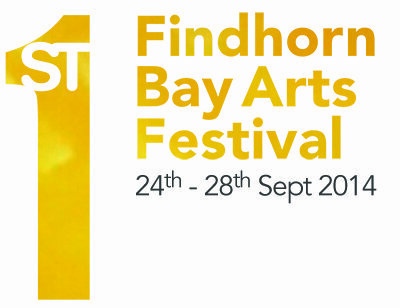 A lovely way to wend your way! There are plenty of ways to wander, short and long, from Ace. This is just one of our favourites. If you want some tips, just ask! This year at Ace we’ve added two new bell tents and a new shepherd’s hut. 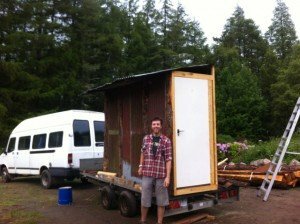 Over the winter and spring we’ve been busy selecting the best spots among the trees, building platforms for the tents and Alec has built our second shepherd’s hut from start to finish. It’s been a team effort though, with Alec and Graeme doing much of the building work, Jim and the guys on platforms, Tracey and Jo on furnishing the new hut and painting duty and even Alec’s mum has made the curtains and wee Juno and Max took a turn on the paintbrushes too (though possibly more ended up on their mini boiler-suits than on the walls but what did we expect from preschoolers!). Now all are in place and welcoming the 2016 season’s guests. In terms of activities, we have extended the disc golf course further through the woods and now have a Moray disc golf league – do get in touch if you’d like to join! So plenty to see this year and more plots and plans in the pipeline for 2016-17 to come..
http://www.acehideaways.co.uk/wp-content/uploads/2015/12/ace-new-logo-sample.jpg 0 0 Jo Laing http://www.acehideaways.co.uk/wp-content/uploads/2015/12/ace-new-logo-sample.jpg Jo Laing2016-05-05 16:26:062016-05-05 16:26:06New for 2016! Here at Ace we’re one of the few camp spots not just to allow you but to encourage you to have a camp fire. There’s nothing better on a peaceful evening than sitting round a fire you built yourself telling stories, toasting marshmallows and toasting each other. Why not pull up a log and sit on down.. Collect some clean dry sticks. Rub the butter into the flour, sugar and salt until the mixture is crumbly. Add a little milk at a time until it forms a dough. If possible, knead on a floured surface then divide into two or more pieces and roll into a snake shape. Wind around a stick. Hold over the campfire to cook for about 10 minutes or until larger and golden brown – turning regularly. Remove from the stick (it will be hold so an adult needs to do this part) then fill or smear with Nutella, jam, honey, butter, squirty cream or – to be authentically Aussie – Vegemite. Just now it feels like the winter’s really coming to an end and spring has finally sprung with the carpets of woodland snowdrops just peaked. Over the camp’s winter hibernation we’ve been busy plotting for 2015.. The woodland camp pitches are having a bit of a makeover. 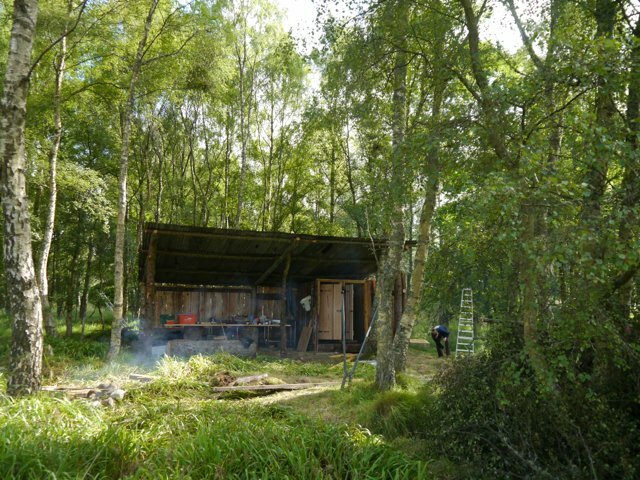 The more adventurous can still wander off among the trees and pick a secluded spot, but a mini-digger arrives any day to really level the spots dotted nearest the camp kitchen, which should improve the comfort levels significantly. 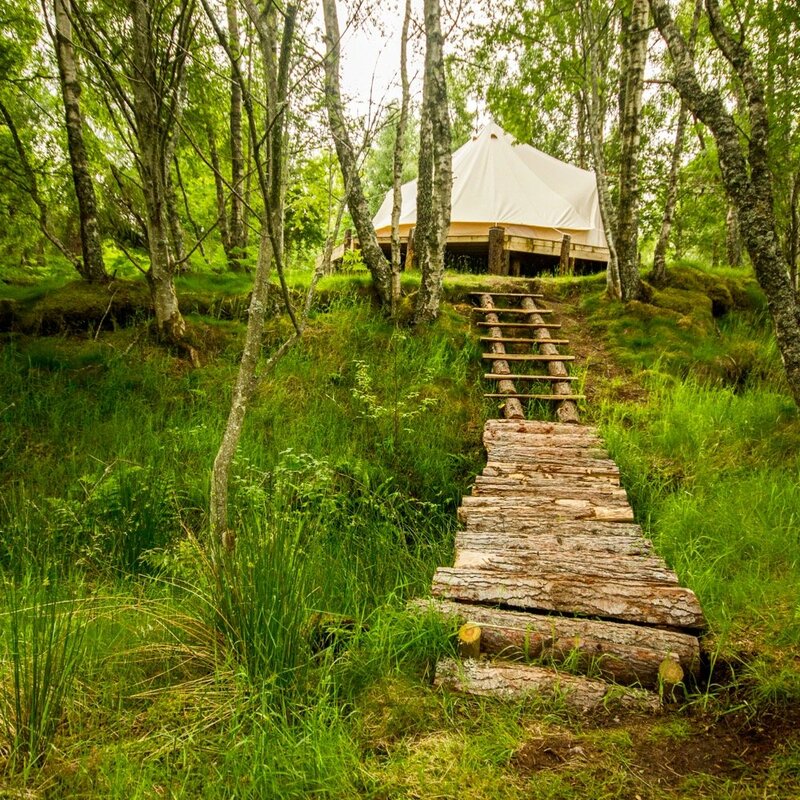 The bell tent, up on its commanding rise, will be up again shortly in the same popular spot as last year – tucked in at the edge of the trees overlooking the view down into the Findhorn River Valley below. The bell tent was such a hit last summer that another one is on its way. Now to find another perfect spot for it. In a matter of weeks our most comfy accommodation, the Shepherd’s Hut will be ready for her first guests.. watch this space. With so much to see and do why not stay a few days here at Ace – you could even combine culture and arts with the odd more energetic activity from white water rafting to our latest game in the woods (most certainly suitable for the most competitive amongst us as well as those of us who like our outdoors at a more sedate pace!).. Call us on 01309 611729 to enquire or book in. Our first campers arrive tomorrow! Pitches are cleared, paths are strum and the woodland camp kitchen and showers are very nearly complete. 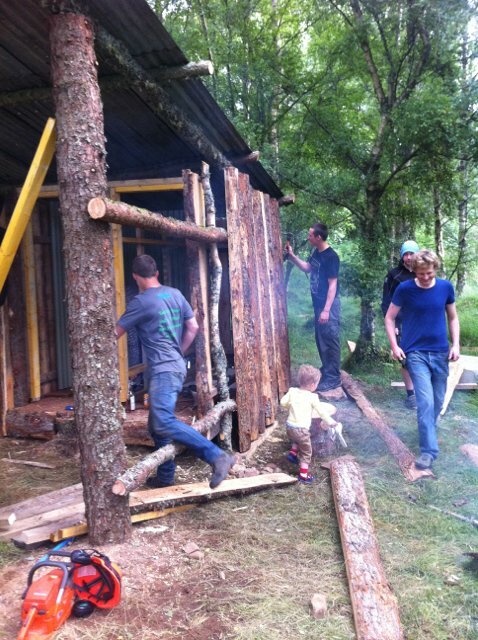 The woodland build has been challenging at times but we’ve had great fun being as resourceful as possible with some of the build materials coming from only a few feet from their final destination, and very many of them coming from the surrounding fields, woodlands and even houses. After the supporting structure, the showers went in. 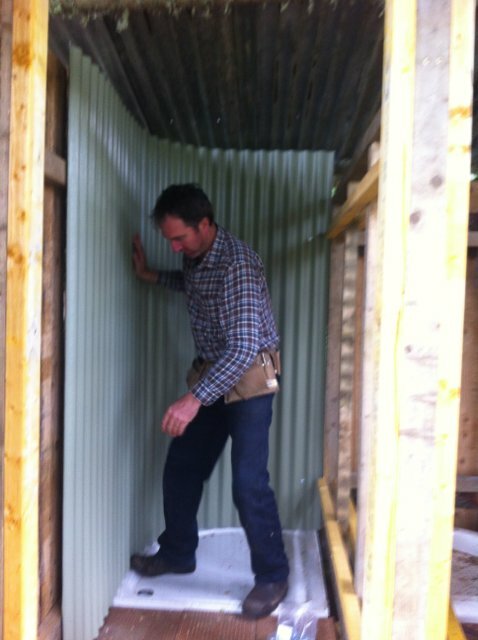 Coated corrugated iron shower surrounds with reclaimed shower trays and heads from local houses. The structure was built from trees felled here at Ace and the whole team (including our youngest helpers) clad the building in ‘backs’ from the wider Logie Estate on which we are located. The almost finished result shows the camp kitchen with huge table made entirely from one tree and only two wide planks, sink, gas stove-top on the left, showers with Jim’s beautiful hand-built doors on the right and camp fire burning in the foreground (someone had to test it worked!). 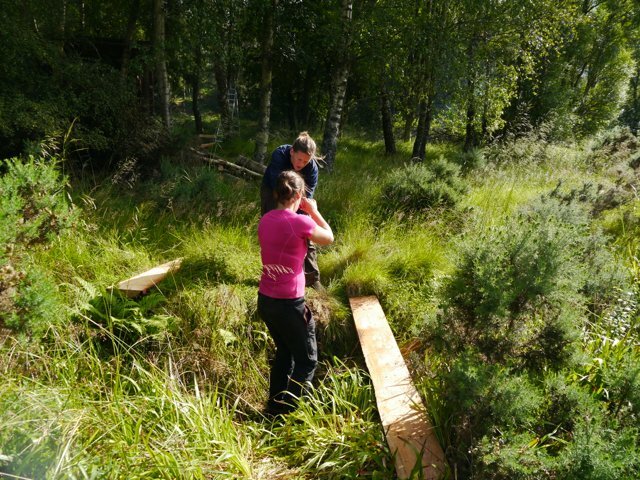 And last but not least, the construction of an easier way for our guests to reach it – thanks to Emma and Iona! We’re dead keen on our natural habitat here at Ace – that’s the whole reason we chose this spot in the first place. So when planning a spot for that most ‘natural’ of purposes the first thing to do was to stop and look around us and this is what we’ve come up with so far..
A wooden structure with sheets of reclaimed corrugated metal with a fantastic rustic patina. 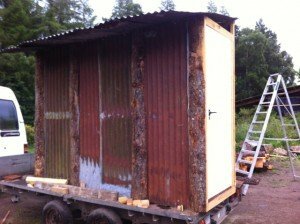 Add this to the Scots Pine ‘backs’ (the attractive but often useless outer parts of trees that are discarded in timber plank production) and this ablutions hut will blend right into the woods. There’s a shower at the right hand end and then if you go round to the other side there’ll be a smell-free composting loo with this fantastic antique wooden seat so you can sit in regal comfort! 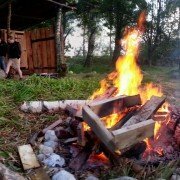 Campfires are welcome at Ace!